Members of Mt. Olive Lodge #17, Hiram Lodge #19, North Star Lodge #2, as well as MW Grand Master Lynn Lewis, Jr. of the MWPHGL of Iowa marched in the 2018 Swamp Fox Parade in Marion, Iowa on Saturday, September 29th. 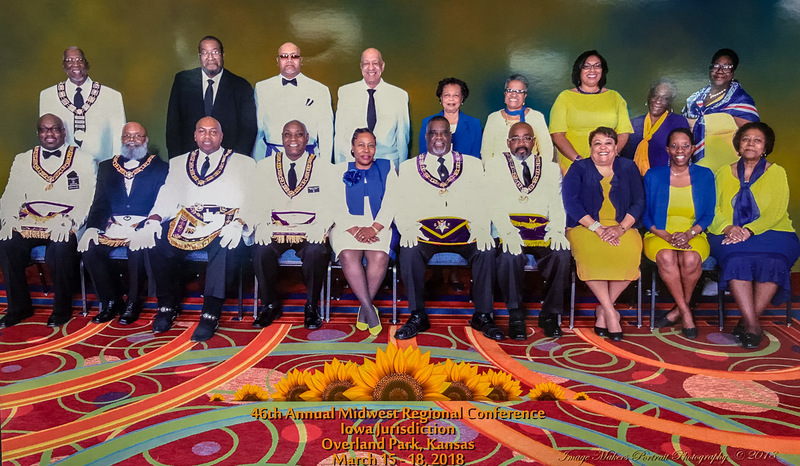 This marks the 1st time members of the Prince Hall Grand Lodge has been involved with the parade, part of an annual festival named after the Revolutionary War hero Francis Marion who earned the nickname from the British adversaries he evaded. Marion is also home to Marion Lodge #6, A.F.& A.M., which has been undergoing some extensive facility upgrades to their historic building this year. 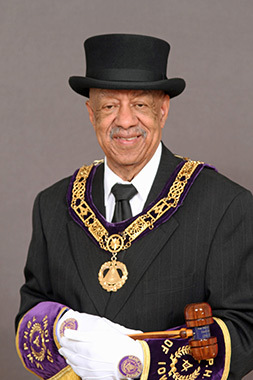 Each of the three Prince Hall lodges purchased buckets of candy to hand out. The parade came just in time for the fall weather temperatures to settle in for the 0.6 mile walk in full Masonic Regalia. The brothers look forward to participating annually. Bro. Chuck Cherry, Bro. Joshua Milam, Bro. Bradley Dixon, JW Morgan Kimbrough, PM, SW Bryant Robinson, WM Terry Taylor, PM, RWGL Ramone Hemphill, Sr., PM, RWJGW Jermain Henderson, PM, RWDGM Andrew Richardson, PM, MWGM Lynn Lewis, Jr.